The banjo has been called by many names over its history, but they all refer to the same sound—strings humming over skin—that has eased souls and electrified crowds for centuries. 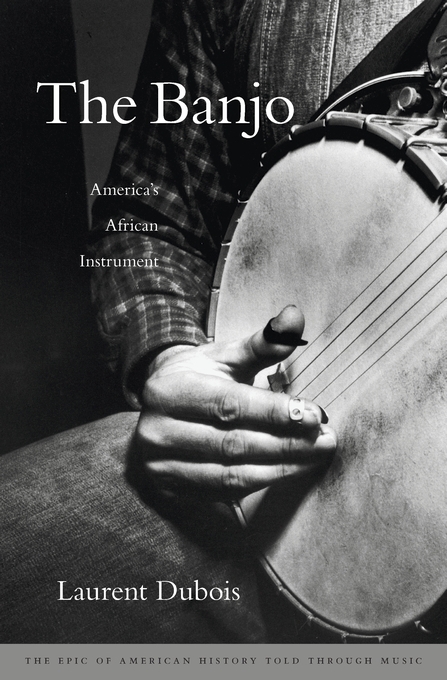 The Banjo invites us to hear that sound afresh in a biography of one of America’s iconic folk instruments. 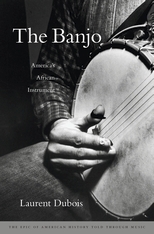 Attuned to a rich heritage spanning continents and cultures, Laurent Dubois traces the banjo from humble origins, revealing how it became one of the great stars of American musical life. In the seventeenth century, enslaved people in the Caribbean and North America drew on their memories of varied African musical traditions to construct instruments from carved-out gourds covered with animal skin. Providing a much-needed sense of rootedness, solidarity, and consolation, banjo picking became an essential part of black plantation life. White musicians took up the banjo in the nineteenth century, when it became the foundation of the minstrel show and began to be produced industrially on a large scale. Even as this instrument found its way into rural white communities, however, the banjo remained central to African American musical performance. Twentieth-century musicians incorporated the instrument into styles ranging from ragtime and jazz to Dixieland, bluegrass, reggae, and pop. Versatile and enduring, the banjo combines rhythm and melody into a single unmistakable sound that resonates with strength and purpose. From the earliest days of American history, the banjo’s sound has allowed folk musicians to create community and joy even while protesting oppression and injustice.